The Ultimate Kickstarter. Upgrade yourself. Upgrade the world. 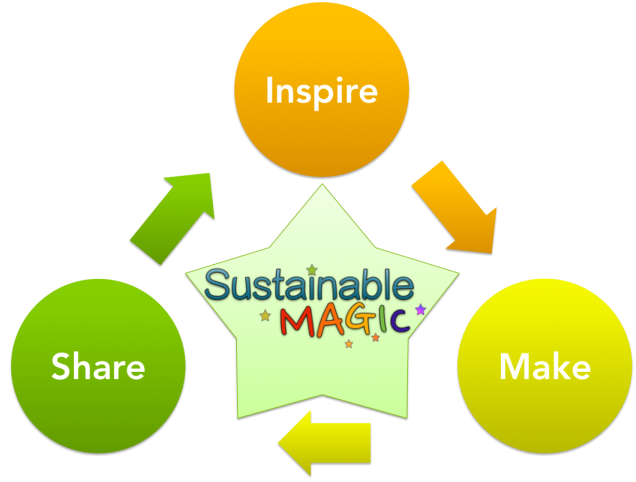 The mission of the Sustainable Magic Box is to fuel people with inspiration and help them rapidly make artistic and pragmatic creations. This will permanently increase their concept of what they are capable of, imbuing them with the confidence to change the world. Using the infrastructure of a box truck outfitted with all the tools needed to create almost anything, from light art to prototype solutions for real-world problems, we will hold educational, creative workshops leveraging our distilled teaching experience fromnearly 40 classes with teens on subjects ranging from Dancing Robots to Brainwave Art to Smart Fashion; the passionate know-how of one lifelong creator and one less experienced but equally passionate one; and a network of awesome experienced creators. Our initial infrastructure will include a large laser cutter (for human scale rapid prototyping), 3D printers, hand tools, an Arduino lab, modular robotics components, sensors, alternative energy, sound, video and lighting equipment. Hi, I’m Sean. I’ve been creating my whole life. Robots, Art, Lasers, Pedal Power, Science. For three years I have coached hundreds of high school students through dozens of projects. And I’m Ashley. Sean helped me learn how to become a creator, inspiring me to learn more on my own. The more I learned, the more confident I felt to create and live the life I felt inspired to live. I have gone on to leave a career I was uninspired by and to make many interactive electronic art pieces as well as to teach high school students how to create and problem-solve. We have found it incredibly satisfying to make an awesome idea into something real, share it with people, and then hear that we have inspired them to want to create. But there is one thing better than this: helping people learn to realize their own ideas and inspire others. Whether you’re new to technology-enabled making and want to explore, or you wish to enhance your existing skills, our workshops will help you grow and learn to do more, better, faster. You will learn to make Magic; to take control and hack the world. What makes this sustainable? A self-perpetuating cycle of ever increasing awesomeness. Inspiration. 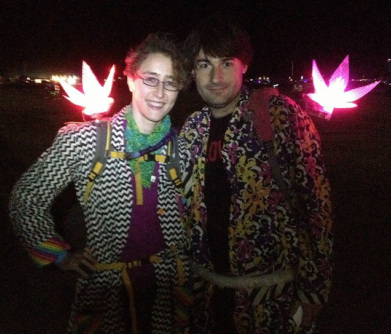 When your mind is blown by magical creations, you feel inspired to create magic as well. We’ll help you find your magic and run with it. Making. When you actualize your ideas, you hack your world. As experienced, committed creators, we will guide you through the process. Sharing. When you offer your art to the world, it perpetuates the cycle and inspires others to create.